The tour begins at 11 am. Try to partake in the tour on a day with good weather. We are comparing El Escorial and Valley of the Fallen: Skip-the-Line Tour Prices from leading ticket suppliers and Try to find you Cheap tickets prices on the market. A guided tour of the Royal Monastery of San Lorenzo de El Escorial and the Valley of the Fallen. The tour introduces several outstanding architectural masterpieces and sites bearing strong symbolism to Spanish past. A basilica of the Valley of the Fallen is exceptional because it is excavated from a rock. The cross commemorating the victims of the Spanish Civil War (1936-1939) is the tallest in the Christian world. The El Escorial Basilica in the Royal Monastery complex is a burial ground of the majority of Spanish kings. The tour offers you a chance to learn a lot about the civil war and the history of Spain. This activity is highly recommended to history buffs and everyone wishing to take a welcoming break from the hustle of the Spanish capital city. Fans of striking architecture and beautiful landscapes should also join the guided tour. Your Experience With El Escorial and Valley of the Fallen: Skip-the-Line Tour? Enjoy a trip in a luxury coach and listen to a knowledgeable guide conveying interesting facts. Visit Valley of the Fallen, the site of the tallest cross of Christendom commemorating the victims of the Spanish Civil War (1936-1939). Tour the El Escorial Basilica and visit the burial ground of most kings of Spain in the Royal Monastery complex. Learn about the Spanish conflict that was a prelude into the Second World War in Europe. Admire the basilica in Valley of the Fallen carved in the mountain. Marvel at the gorgeous vistas from vantage points. What El Escorial and Valley of the Fallen: Skip-the-Line Tour Includes? Trip by a luxury and comfortable VIP bus. Professional and knowledgeable tour guide. Admissions to the Royal Monastery complex and the Valley of the Fallen. 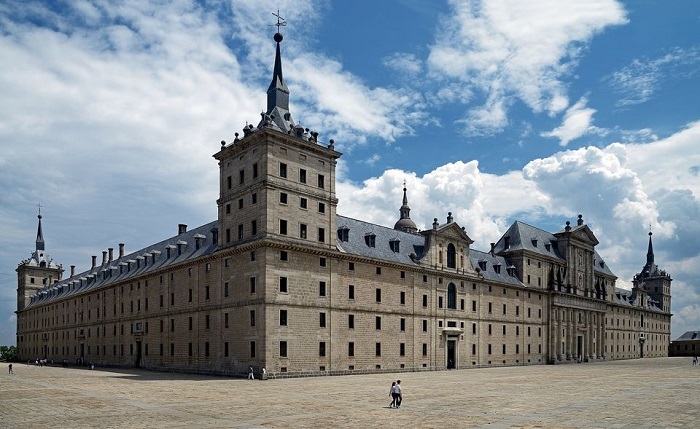 The San Lorenzo de El Escorial Royal Monastery is some 50 kilometers away from Madrid. Valley of the Fallen is near the Royal Monastery complex. El Escorial is the World Heritage Site. Travelers Reviews about El Escorial and Valley of the Fallen: Skip-the-Line Tour? Reviews of the travelers lead to the conclusion that the tour is well organized and the staff great. Many of them agree that the architectural examples are breathtaking and that vistas from viewpoints are marvelous. A fair share of participants was very satisfied with the performance of their assigned tour guides. Available reviews indicate that the explanations of the points of interest were very good. The guided tour is suitable for visitors suffering from mobility issues. Paper and mobile tickets are acceptable for joining the tour. The paid amount is refundable for cancellations that take place at least 24 hours before the beginning of the scheduled tour. To take part in the tour, kids need to be in the company of the adult person. Children under 7 years of age don't pay. Dress according to the weather conditions.